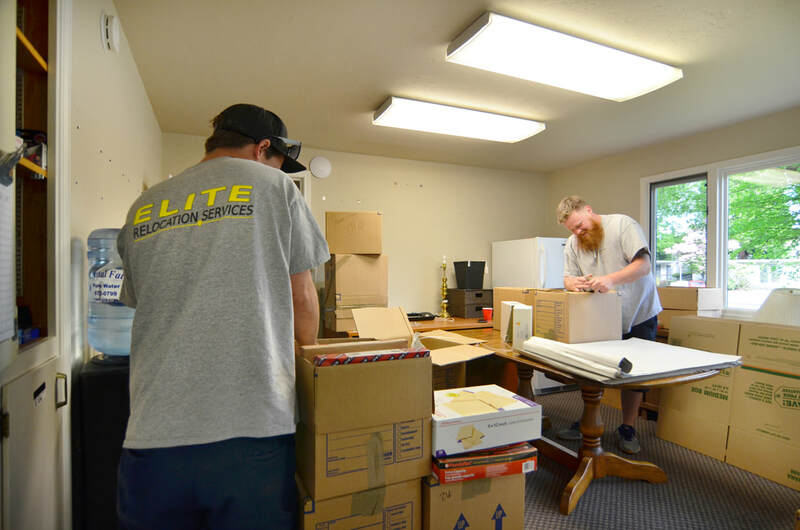 Elite Relocation Services offers complete professional door-to-door service, including providing you with necessary packing materials. Or we can perform any of the separate functions required in relocation, whether it is packing, unpacking or home staging/organizing. You choose. Discover how easy your move will be when you use Elite Relocation Services. Call us today. Elite Relocation Services operates with transparency, integrity and honesty. We promise accurate estimates, prices that are in accordance with ODOT approved tariff rates, no hidden fees, proper licensing and insurance, professional laborers, top-of-the-line equipment, home protection at every residence and customer support from the start to finish of every move. Our focus is on you and your experience. Quality service and customer care are what set us apart from the competition. We like to call it the "Elite Difference". and ahead of schedule I knew this moving experience was going to be entirely different!!! Shawn’s team was friendly, respectful, organized, extremely hard-working, and treated my family and our household items as their own! relocation business and this comes through in how he and his team organize and manage a move! Furthermore, Shawn is a Veteran, which makes Elite the ONLY Veteran owned moving business in the local area! Our furniture and most belongs were transferred by Elite from our home to a storage unit today. Please know that Will, Rashad and Dave were amazing! They were hardworking, careful and certainly show they have that all important “hustle-gene”! Great crew, obviously they enjoy working together and do so like a well oiled machine. Shawn and his assistant did the small but very tricky job of moving a 400-pound Fisher wood stove from the 2nd story of our home down to the street into a pickup truck. They made some extremely wise decisions about how to do this in the safest and most efficient way, for example avoiding an outdoor rickety staircase, and choosing instead a route from our deck down a sloping forest yard. These folks are incredibly knowledgeable about all aspects of moving - I would highly recommend them for any work of any size. "I was very pleased with the speed and professionalism that the guys (Will and Dave) demonstrated in moving my dad's things from a storage unit to his new home. They were cheerful and very careful in their work. No dings or damage. I would recommend Elite Relocation Services to anyone. Thanks." "Highest praises to Elite Relocation Services for their extremely efficient packing in preparation for my impending move to Albany, also via Elite. Will, Dave, and Rashad are an incredible team, with an eye and appreciation to detail and care as to how things should be safely packed, including antique Victorian era furniture and a vintage animation table. Cheerful and tireless throughout the entire process, they also completed the job with an hour to spare under the estimate. I am absolutely delighted!" "I have been corporately relocated 6 times in 14 years and this has been the most exceptional experience ever! Thank you for the professionalism, attention to detail, integrity, and politeness David, Will, and Rashad. I could not be happier with the way all parts of my packing went today. Thank you Shawn for coming out on short notice and giving a fair and honest quote; which was spot on." "These guys rock....They show up on time, fully explain their process, what it is likely to cost and make suggestions on certain aspects of our move. All in all, this is a reliable, veteran owned business (which is very important to me) that follows through on their promises. The employees are physically fit and able, clean cut and polite....We will use them again soon....Good bunch!" "Could not be happier with the professional way all parts of our move to storage went today. Elite Relocation Services folks, David, Will and Rashad are the most polite, fast but careful folks you could ever have move you. Super pleased, thank you Shawn." "Shawn and his crew did an excellent job with our complicated move. We had stuff stored at 3 locations and they were efficient and professional throughout the entire time, moving quickly and and with great care of our items. Shawn is an amazing organizer getting things stacked very efficiently. At our new home most of the furniture needed to go upstairs and they were very careful applying protection to both the walls and wood floors. We can't say enough good things about how easy Shawn made our move! 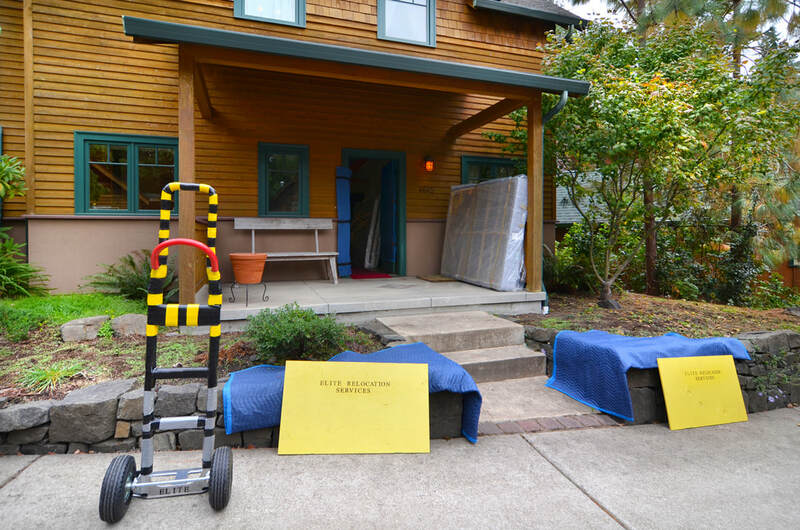 This is the second time we have gotten to use Elite Relocation and won't make another move again without their help."